EssayShark.com is one of the most expensive services out there. Since it’s a bidding service, the prices are not clear and you don’t know what you’ll pay when you place the order. The product range is very limited. There’s no discount for repeated orders. We got reviews that suggested some plagiarism in the papers produced by this service. Our experience confirmed that issue. The first impression we had with this website was not extremely positive. Everything is unclear. You have to read through a lot of content to realize that this is actually a bidding service. 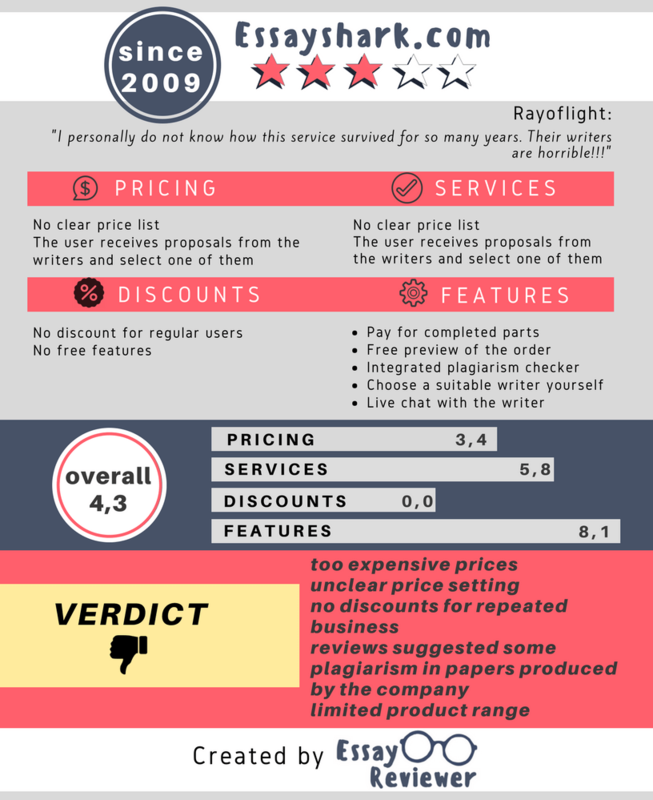 We got EssayShark.com reviews from real users, who told us they got plagiarized papers. So we had to test the service. Is it good or is it bad? We ordered an essay. Read our review to find out what we got. Since this is a bidding service, the list of services is clearly versatile. You can place an order for any type of paper and wait for the writers to bid. The order form lets you order an essay, admission essay, annotated bibliography, book report, research proposal, business plan, thesis, creative writing assignment, and more. There’s a category other, which leaves space for you to order any type of paper you’d need. However, the writers are not qualified enough to cover all these services. If you order a dissertation, for example, no one will be able to tackle it. You won’t find a clear price list at this website. They claim to give you the lowest prices on the market, but that’s not really the case. When you check the profiles of the writers (they have nicknames to stay anonymous), you don’t see the prices of the projects they’ve completed. To place an order, you have to sign up. You don’t have an idea what the price will be at that point. We were really surprised to see the bids. Although we set a deadline of 10 days, no writer bid under $23. That’s too expensive for a bidding service. Don’t hope for a EssayShark.com discount code. There’s no code for first-time customers, and no loyalty program for returning users. The essay we got was too plain. There weren’t any unique arguments in it. 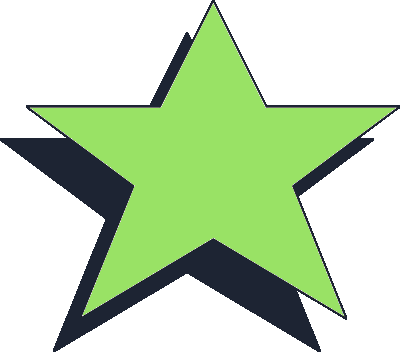 We used a plagiarism detection engine and it revealed 10% plagiarism in it. It’s not a huge percentage, but it’s enough for a professor to charge you of plagiarism. The rest of the content was rewritten from the source the plagiarism detection engine identified. So no, we didn’t get a good paper. We paid an expensive price and the results weren’t good enough. The writer agreed to rewrite the plagiarized section, but didn’t agree to improve the entire paper. The writer was available for communication, but he didn’t pay too much attention to our requirements for original content. There’s no live chat at the website, and that’s a big negative point. There’s only an option for email support, which is not effective enough. We sent a complaint and didn’t get a response. EssayShark.com has some potential to become a good bidding service for essays, but it’s still far from that goal. Several students complained about plagiarized content, and our experience confirmed those practices. There are better services out there to use for a lower price. Frustrated with this service. They claimed to deliver a custom paper but when I tried to check it using Turnitin I found 30 percent of unoriginal content!!! Can you imagine the consequences if my professor saw this first??? This is not a good way to do business. Waiting for a complete refund from them.